Our florists can prepare bouts for your pall bearers and ministers. Traditionally the ministers will wear red and the pall bearer white in bouts. 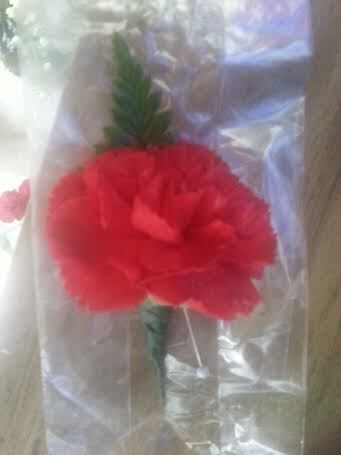 Carnation bouts sell for $ 4.00 each and red rose bouts sell for $ 6.00 each. When a family purchases a casket cover or cremation ring for their loved one's service, we will provide up to 8 carnation bouts at no charge.